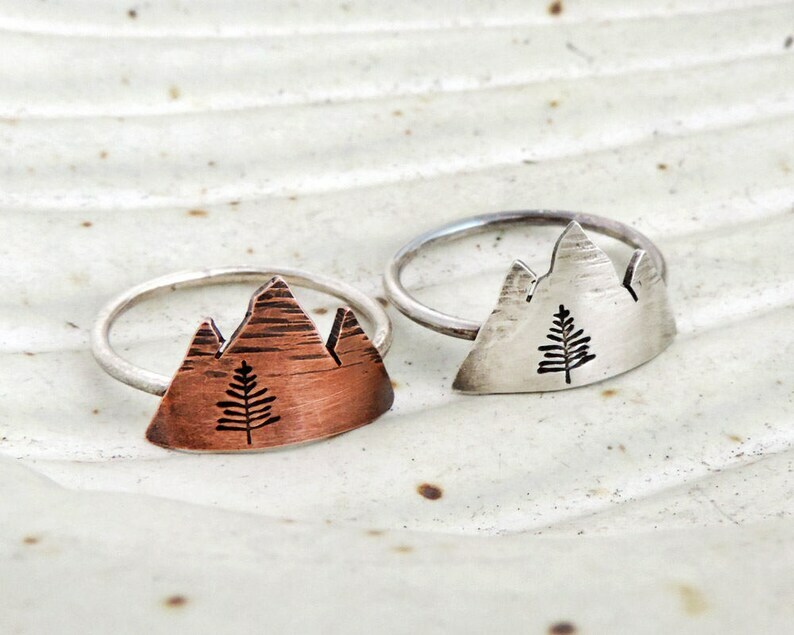 A rustic mountain peaks ring accented with a tiny pine tree. For hikers, campers, and nature lovers. Available in copper or sterling silver. Bought this as a gift for my sister and she loved it! :-) Beautiful craftsmanship and fast shipping. Highly recommend this seller to anyone who is on the fence and hasn't purchased from before.